Their parties are also among the favourites. The head of the Fatherland party, MP Yuliya Tymoshenko, and a former defence minister and leader of the Civic Position party, Anatoliy Hrytsenko, enjoy the highest public support as potential presidential candidates as of mid-June 2018, according to a poll by the Kyiv International Institute of Sociology. Out of those who have already made up their mind, 19.5% would vote for Yuliya Tymoshenko, 12.6% for Anatoliy Hrytsenko, 10.7% for Radical Party leader Oleh Lyashko, 10.2% for Opposition Bloc leader Yuriy Boyko, 8.5% for incumbent President Petro Poroshenko, 8.3% for comic Volodymyr Zelenskyy, 8.3% for For Life party leader Vadym Rabinovych, and 7.4% for Svyatoslav Vakarchuk. Other candidates mentioned in the poll scored less than 3% of votes. If Zelenskyy and Vakarchuk, whose participation in the election is yet to be confirmed, are not taken into account, Tymoshenko would receive 22.8%, Hrytsenko, 16%, Lyashko, 13.2%, Boyko, 10.6%, Poroshenko, 10.5%, and Rabinovych, 8.4%. Around 28-29% have not made up their mind on a favorite. As of mid-June 2018, eight parties, including the notional Bloc of Svyatoslav Vakarchuk and Volodymyr Zelenskyy's People's Servant party, are likely to cross the threshold. Some 19.5% of respondents said they would support Fatherland, while Civic Position would get 14.4%, Opposition Bloc, 10.5%, For Life, 10.3%, the Radical Party, 9.7%, the Petro Poroshenko Bloc, 7.3%, the Bloc of Svyatoslav Vakarchuk, 6.2%, and the People's Servant, 5.2%. Without Vakarchuk's and Zelensky's parties, Fatherland would get 21.6%, Civic Position, 15.9%, Opposition Bloc, 11.4%, the Radical Party, 11.1%, For Life, 10.5%, the Petro Poroshenko Bloc, 7.9%. In this case, Freedom (4.6%) and Self-Reliance (4.6%) will stand a higher chance of getting into parliament. The pollster noted that until candidates are registered, all the lists are considered notional and any candidate's rating will be the lower the bigger the list offered by the pollster is. 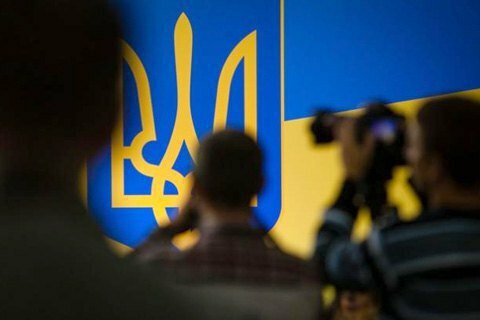 The survey was held by means of personal interviews among 2,005 respondents aged 18 and above in 110 population centres in all regions of Ukraine, except for Crimea, on 7-21 June. In Donbas, the survey was held in government-controlled territories. The margin of error does not exceed 3.3% for indicators close to 50%, 2.8% for indicators close to 25%, 2% for indicators close to 10%, and 1.4% for indicators close to 5%.